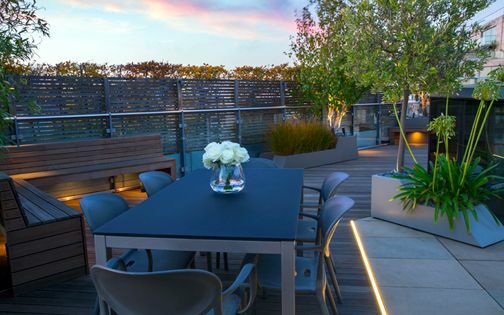 From first-floor rooftops suspended over underground car parks in Islington to 120-metre-high terraces hovering above the Barbican towers, and every waterfront roof garden in between, the intriguing array of London roof terraces is truly vast. 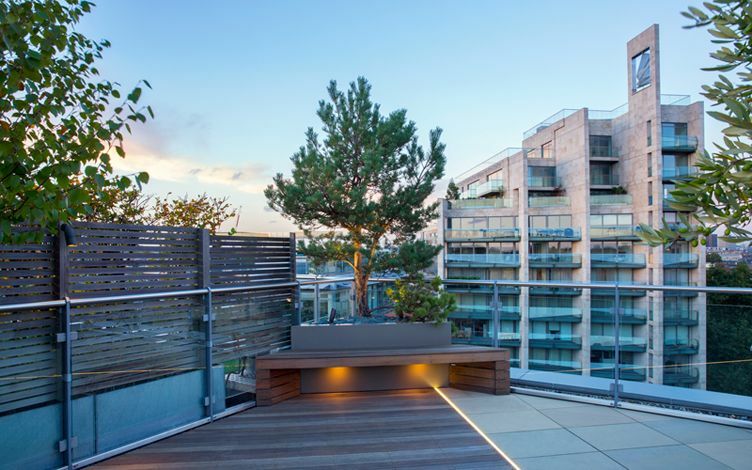 Site-oriented, year-round-ready, eco-friendly and invariably modern, the designs for these lofty sanctuaries epitomise urban living in among emergent architectural skylines. 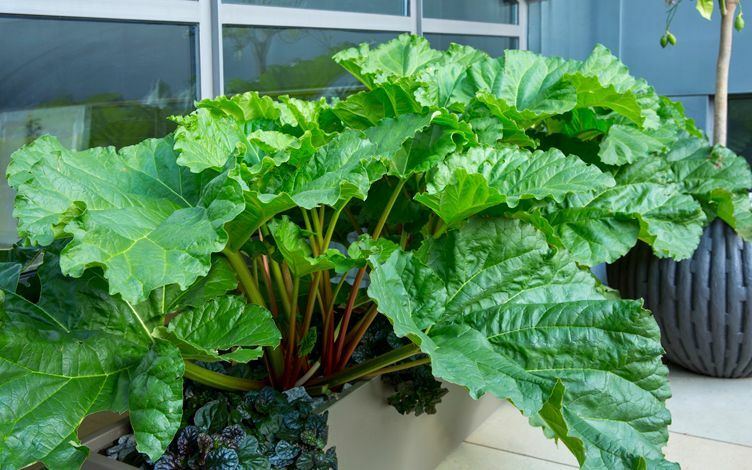 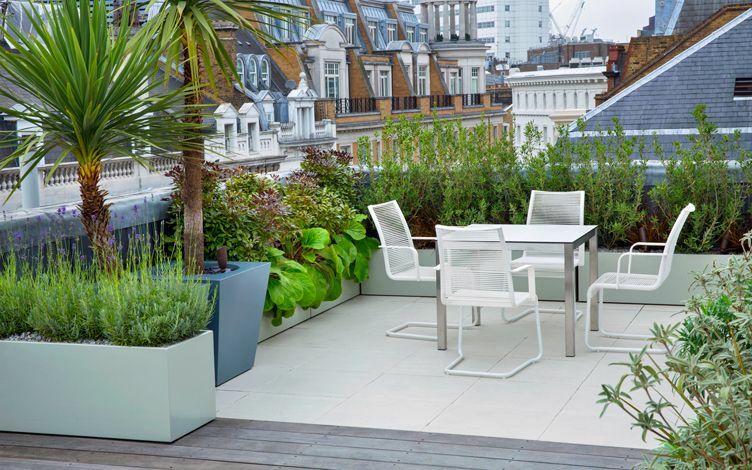 Yet, when rain simply cannot saturate containerised compost adequately, ferocious wind undermines the stability of planters, and incessant pollution discolours many integral surfaces, the challenges of rooftop gardening remain unwavering. 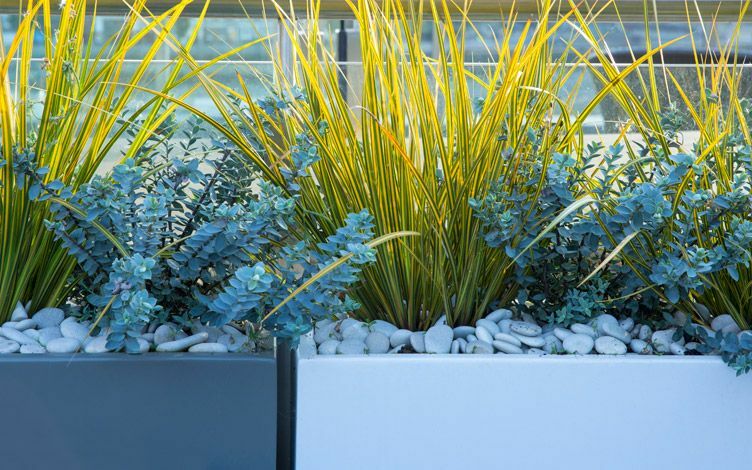 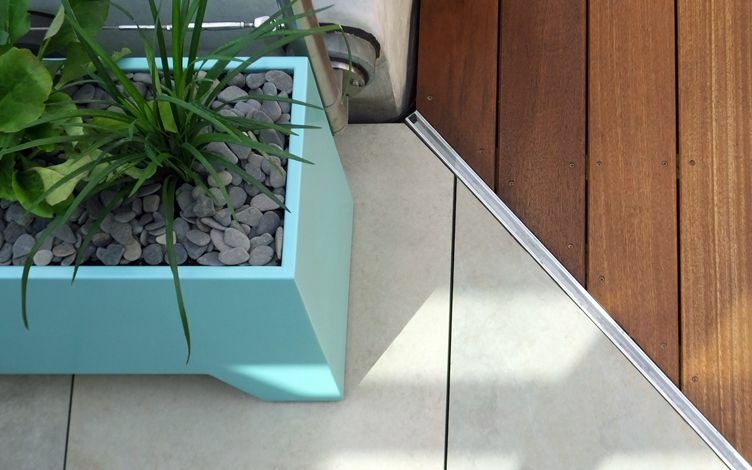 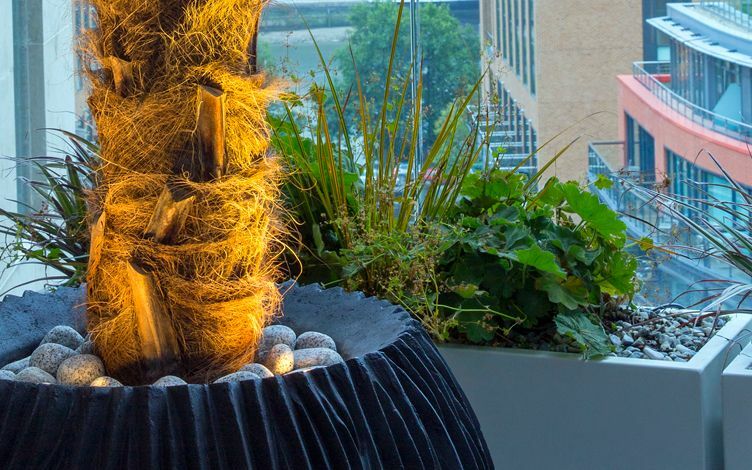 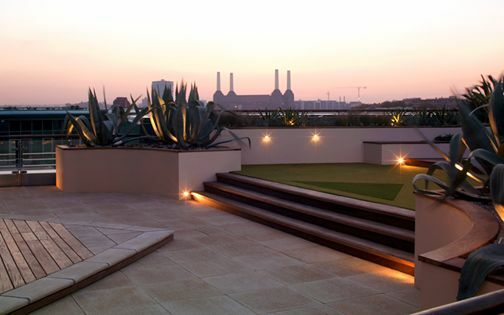 The design elements which thrive in these trying environmental conditions are often ingenious, invariably robust and comprehensively detailed – sustaining the long-term cultivation of uniquely architectural roof terrace gardens. 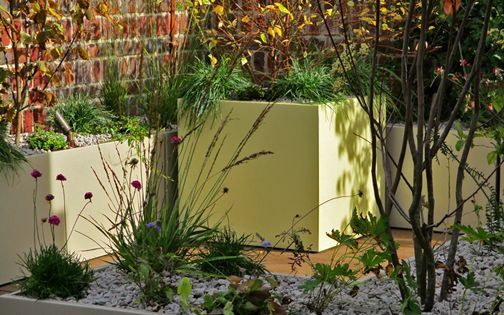 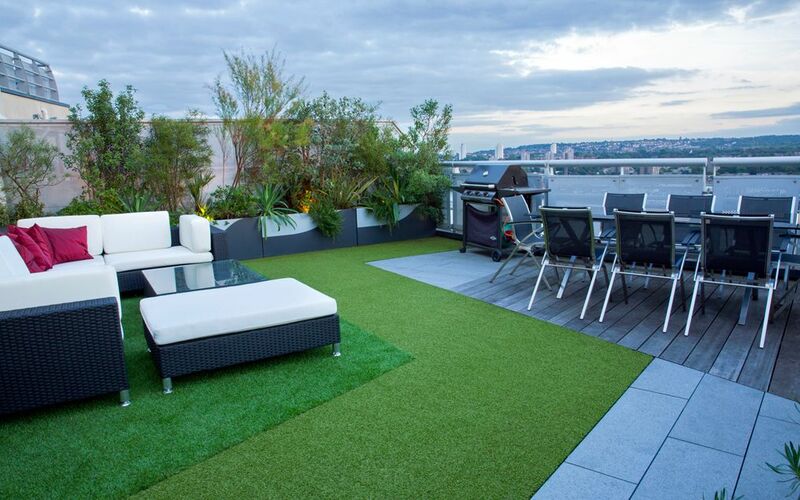 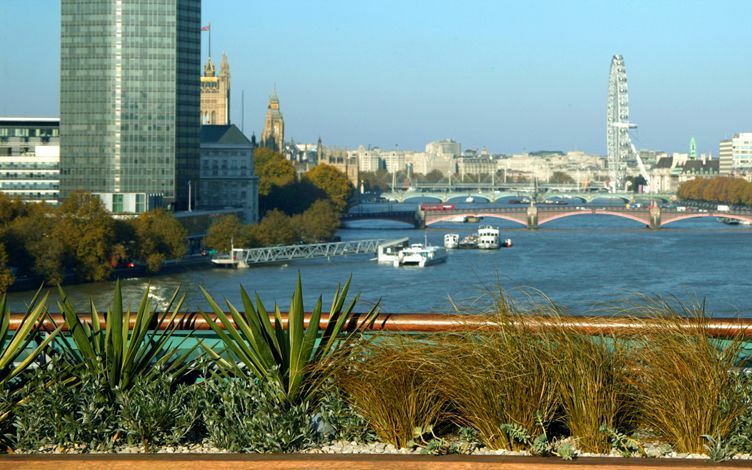 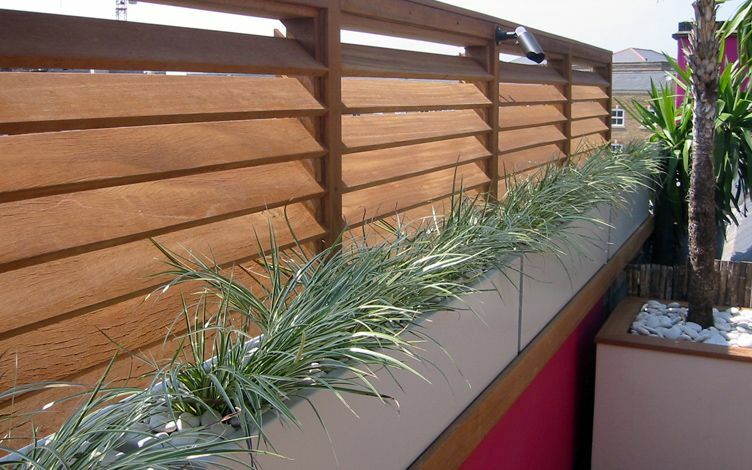 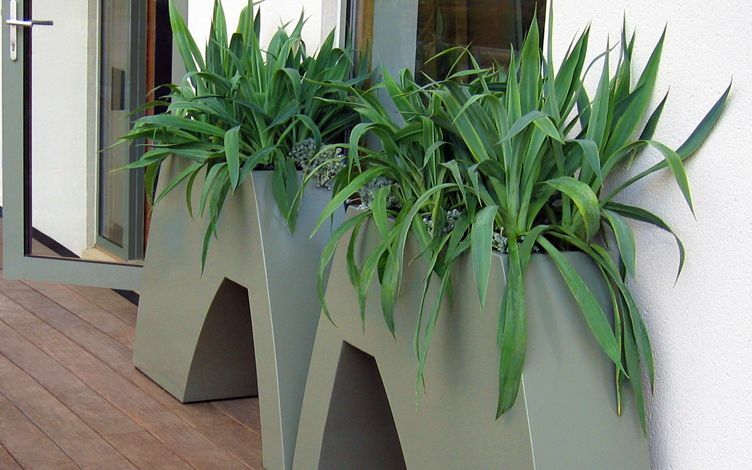 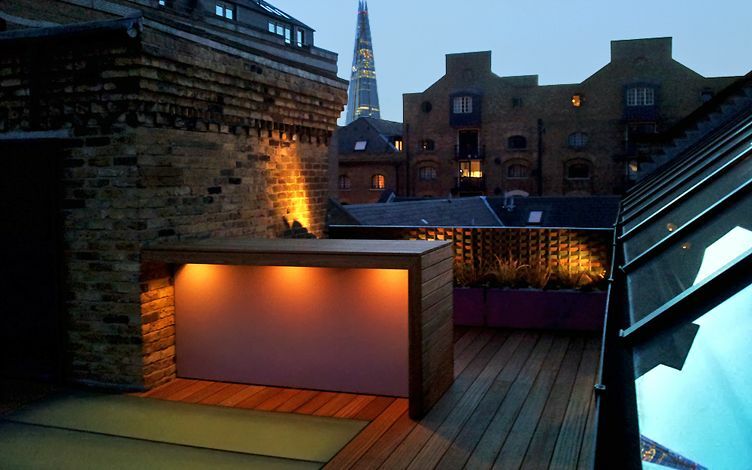 Interestingly, our first-ever project was a Central London roof garden back in 2001, and since then, over 3,000 planters, 30,000 plants and 300 tonnes of compost continue to sustain enduring roof terraces of diverse shapes and sizes for clients fond of modern altitudinal living. 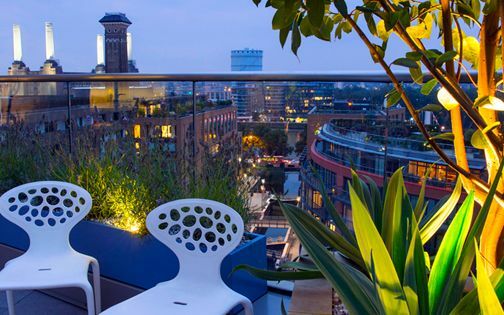 Mindfully, this astonishing journey into urban peaks isn't without its pendulations, forming a progressional study of environmental factors, owners' aspirations and myriad technical discoveries. 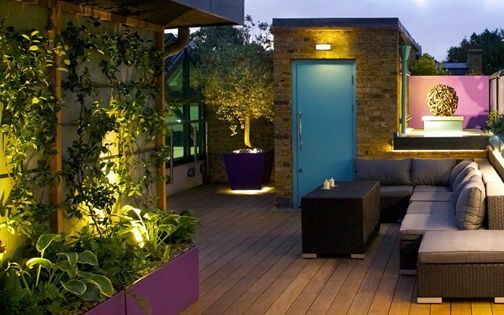 These millennial rooftops eminently epitomise a fierce and global urban resettlement, when diminishing contact with restorative outdoor space remains an ongoing conundrum of fundamental human well-being. 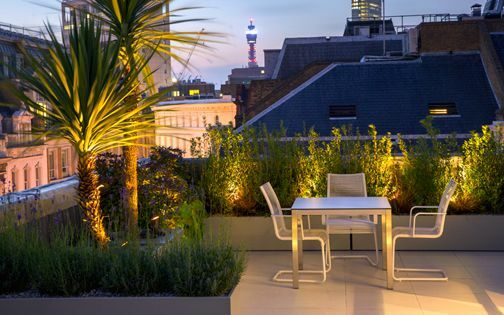 Tempestuous temperatures, transitory residence and unviability of gardens in ever-taller buildings signify not only challenging predicaments for roof terrace designers, but also fragile inescapabilities for ecologists. 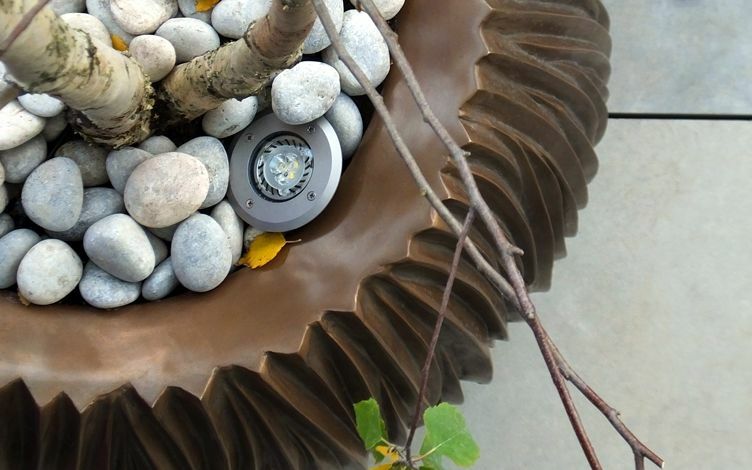 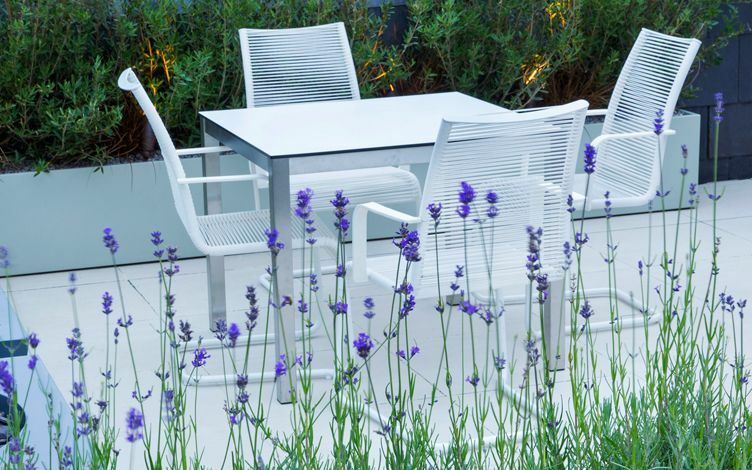 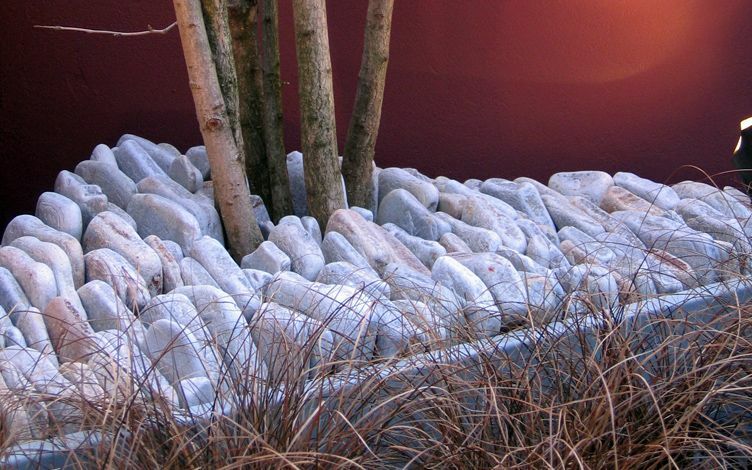 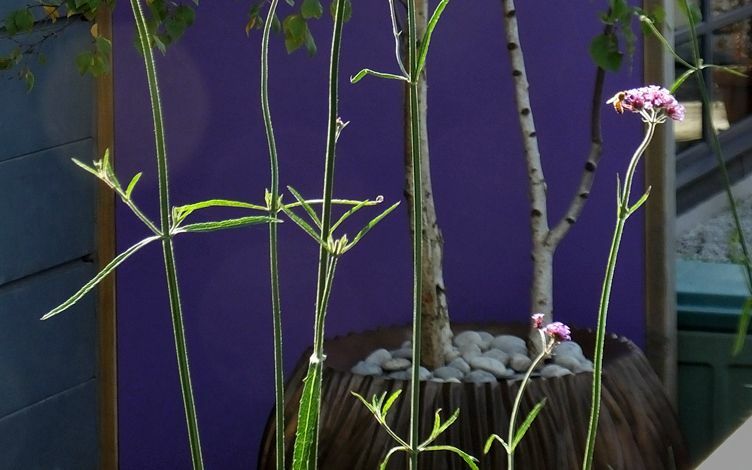 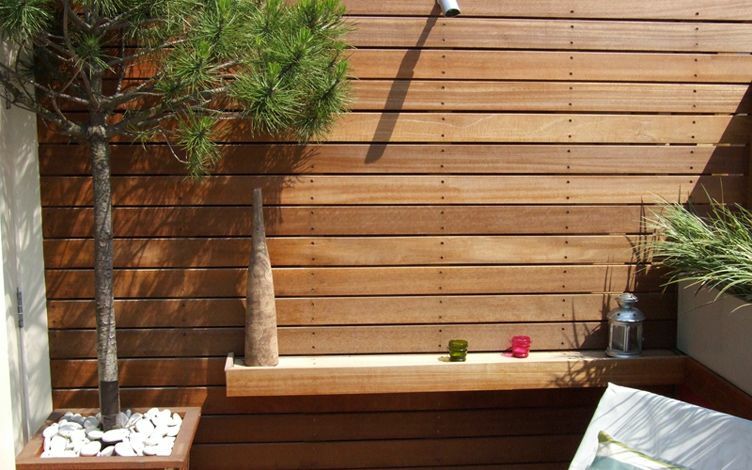 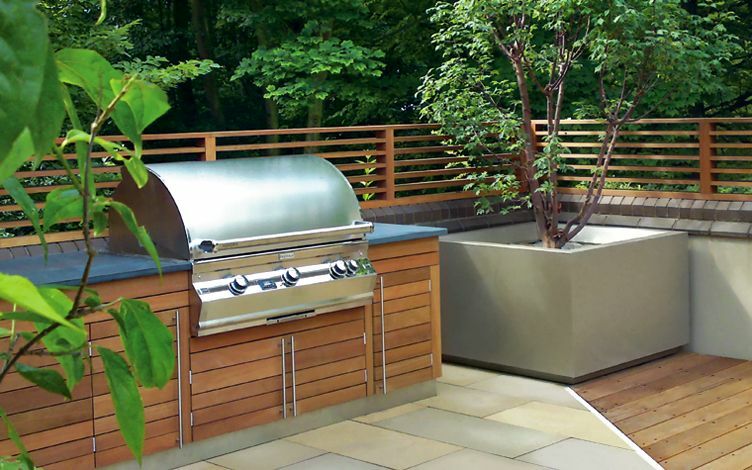 While many garden design principles are fully transferable to roof terrace settings, the practical elements which sustain them aren't necessarily transportable. 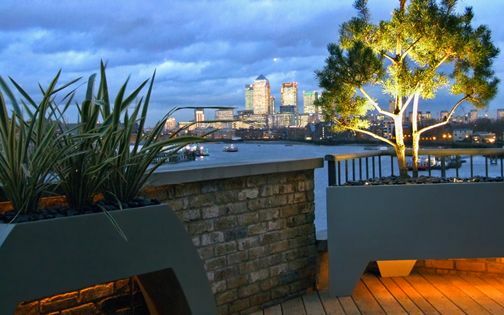 As new apartment buildings edge skyward in a much-clustered architectural firmament, their loftier frameworks forsake accessibility, irrigability and relatable contexts, nestled high above urban treelines – often senselessly developed without outdoor watering appliances. 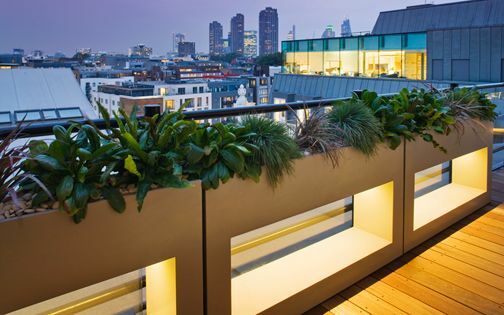 Granted, sky-high rooftops are as commandingly scenic as city living can reward, yet mid-rise terraces fulfil the most interconnected and sustainable attributes of a citified celestial way of life. 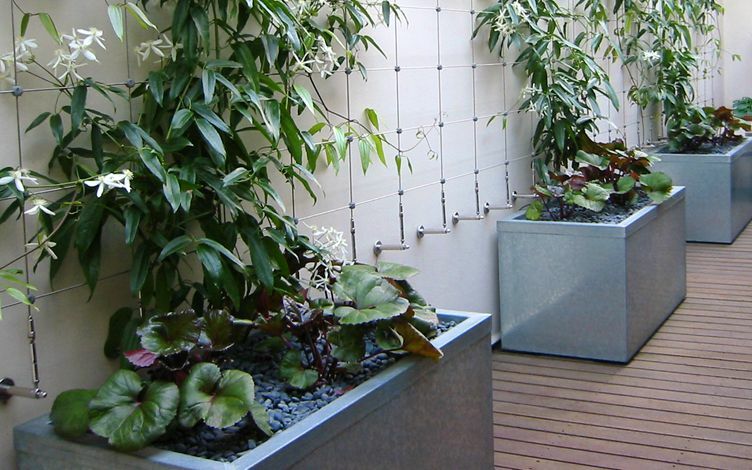 As we seek durable solutions by designing mechanisms to enable liveable roof terrace environments in wind, sun and rain protection, water harvesting, solar power and energy conservation, the versatility of plants in natural biomes can mitigate infrastructural drawbacks as an environmentally-contributive element of our collective well-being. 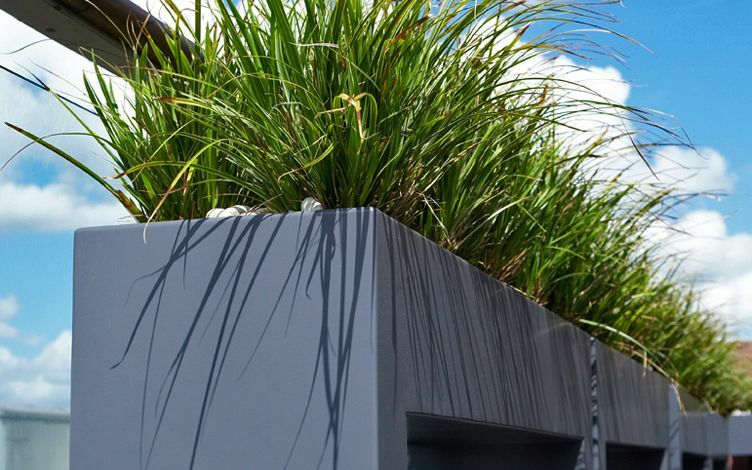 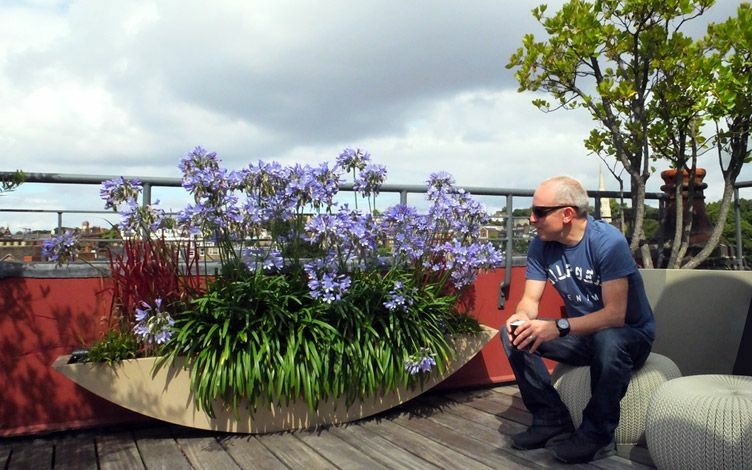 Since individual plants occasionally underperform, while others sometimes exceed our expectations, we strive to create horticultural balance within rooftop plant life, where fluctuations in performance can seesaw greatly. 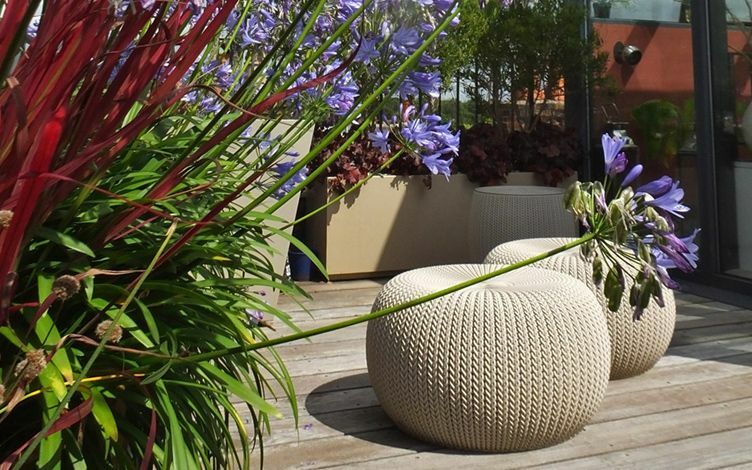 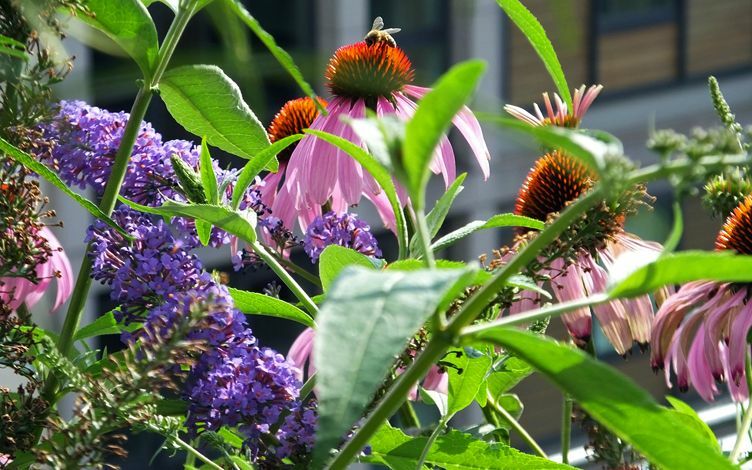 Often unforeseeably, though rather rewardingly, many floras reveal their sheer adaptability and resilience across roof terrace gardens, growing versatilely, and manifesting pure ecological interchangeability. 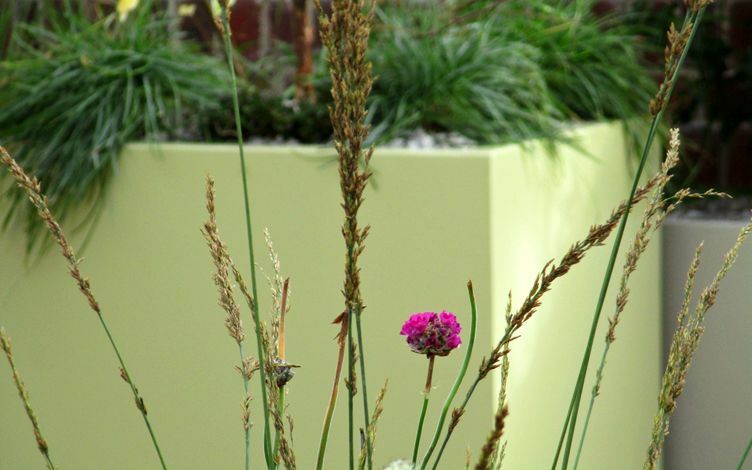 Well-sited, well-drained and well-irrigated planting schemes achieve both their architectural and eco-friendly merits in sustaining biodiverse urban biota as verdant retreats for people and wildlife alike – heightened by specialised growing media and intense microclimates which produce extraordinary outcomes and a profound sense of fulfilment. 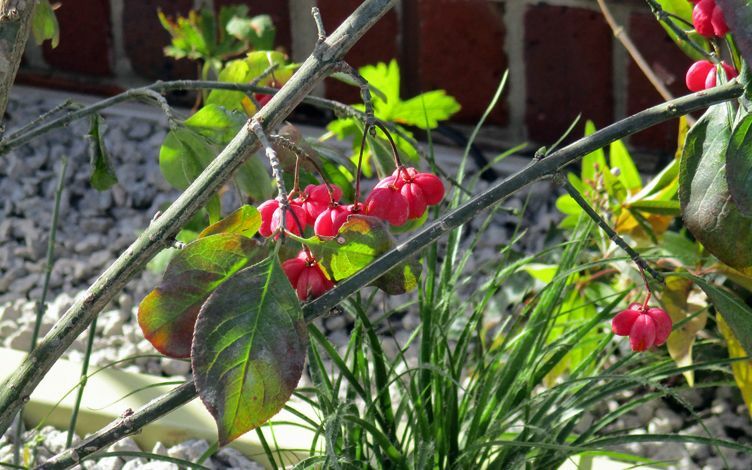 Certainly, small-leaved, grey-leaved heliophytes tend to outperform broadleaf species in the intensified heat stress of roof gardens, yet the experimental aspects of biodiversity innovation in ever-evolving urban climatic zones contribute not only insightful grasps of a thoroughly divergent way of plant cultivation, but also beneficial masterstrokes in life-giving, engaging, green topologies. 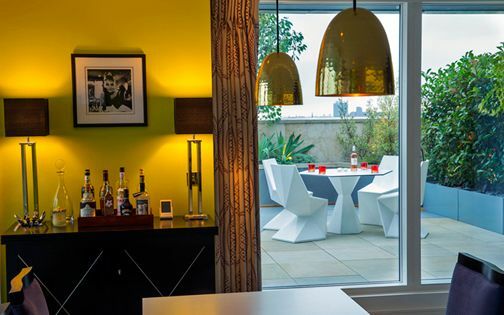 As we seek concurrent balance between preserving historic vistas while introducing brand-new ones, and pleasing corporate beelines while traversing domestic districts and vintage bohemian strongholds, the diverse terrace elements which define private rooftops aptly focus on refining metropolitan outdoors. 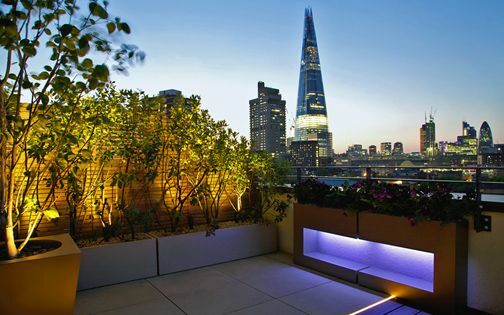 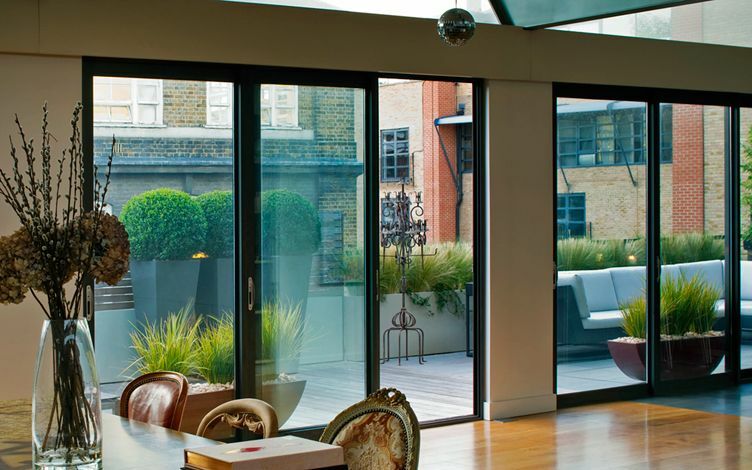 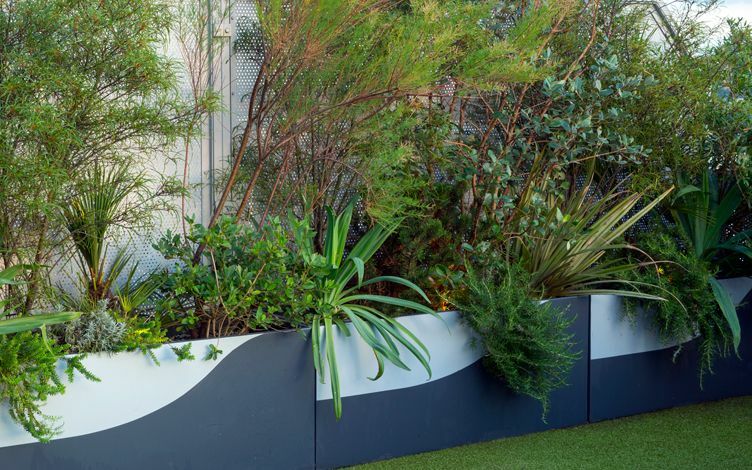 Privacy screens, seating hubs, view framing, bountiful planting and night-time illumination convey spatial orchestrations which individualise, maximise and capitalise on prized panoramas in developing roof terraces of their place, space and time.